2/19/13, Asheville, NC – Zombie Town will be hosting auditions for both videographers and zombie actors this weekend at Metropolis in Downtown Asheville. The live action zombie experience will be taking place every weekend at Metropolis which will be transformed into a post apocalyptic world where participants must shoot zombies with airsoft guns and find “Patient Zero” to save the world. Zombie Actors must come in full makeup and costume at the exact time of the audition and will be expected to stay through the end. Videographers must bring their own equipment. They will film the auditions, which will be similar to the actual experiences. Video must then be edited into a minimum 2 minute reel as an audition for videographers who will be hired for actual shows. Videographers will have 10 days to submit their videos. The Zombie infestation has begun. If you are reading this it’s too late. 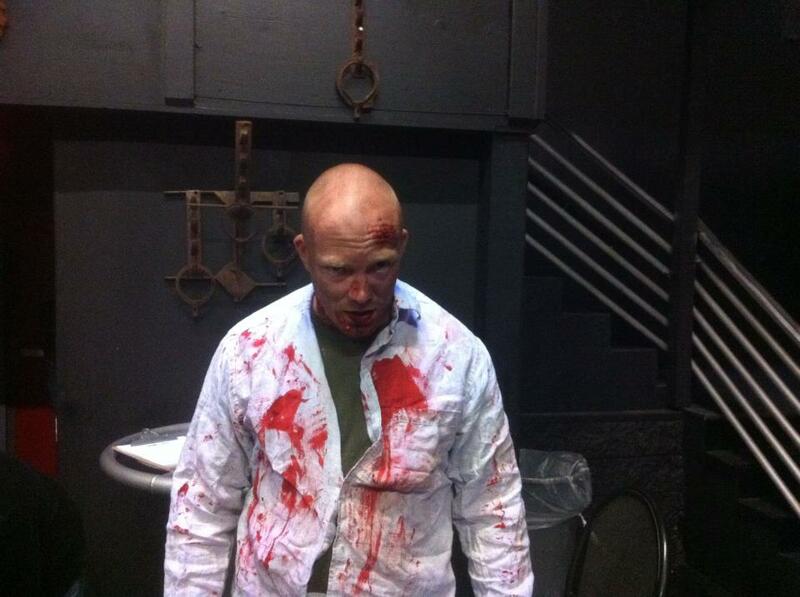 Zombies are chasing, scaring, and eating people from all over the world right in the heart of Asheville NC. Zombie Town is a live action realistic immersive experience open all year long where participants live out the terror of a full scale zombie apocalypse behind the safety of an airsoft gun. It is the heart of the Zombie Apocalypse. It is Ground Zero for the Zombie Infestation. As a participant, you are one of the few survivors, and you need to find patient zero. You will be given a shot gun, some ammo, a flashlight and tasked with finding the cause of the zombie outbreak in a multilevel nightclub that is crawling with undead. You will need your wits about you while you shoot your way through the horde of zombies uncovering the vital clues that the remaining scientists need to find a cure. Open Friday evenings, All day Saturday and Sunday all year long this experience is thrilling, adventurous, and causing a stir across the planet. 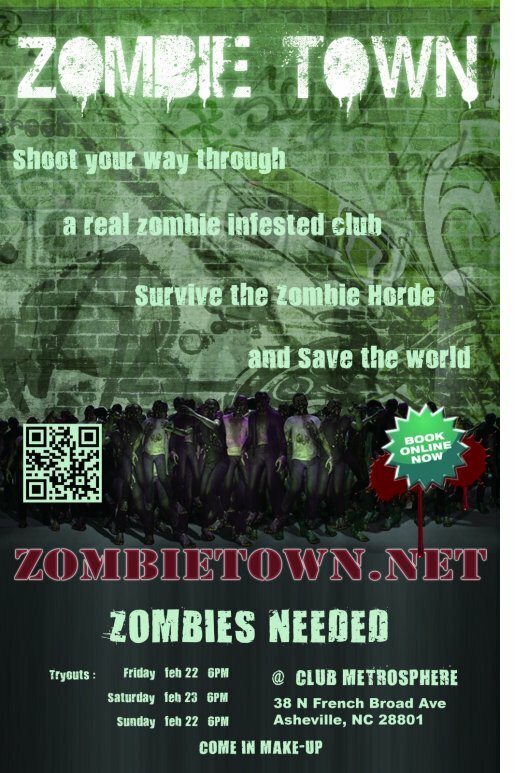 Book your experience at ZombieTown.net. Next What do you do with an Ol’ timey band born in the 80’s?